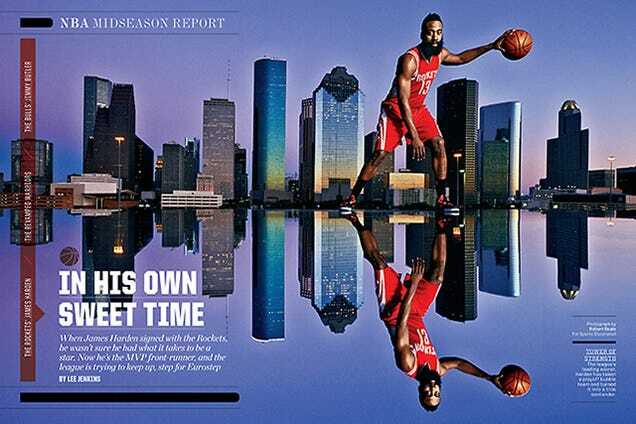 To create the perfect Sports Illustrated spread for Houston Rockets star James “The Beard” Harden, photographer Robert Seale decided to double the beauty of the NBA player’s home-team skyline by using a huge piece of Plexiglas to create a mirrored effect. After all, why have a portrait with one excellent beard in it when you can have a portrait with two excellent beards? Seale cobbled the rooftop shoot concept together quickly, and decided to use the Plexiglas for a simple reason: “Because the parking garage is white concrete, and it’s ugly. That, and I’m a sucker for reflection pictures,” he wrote about the process. 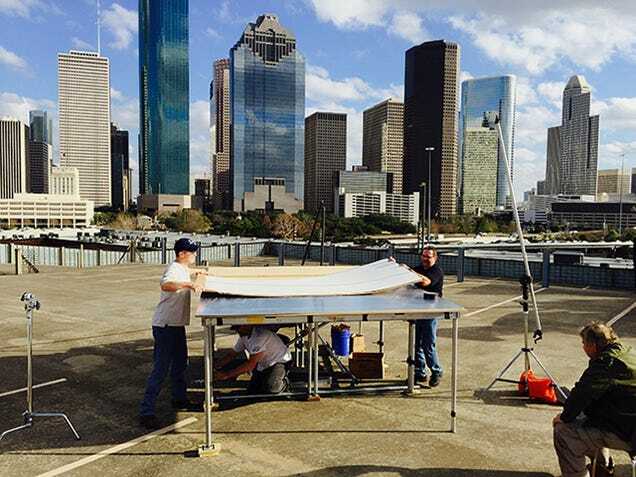 Here’s the crew making the last-minute glassy platform. Photos republished with permission from Robert Seale.